At Greeley Window Company, we’re ready to prove ourselves as the leading window company in Greeley, Colorado starting with the installation of your new windows. In the typical house here in Greeley, your windows are supposed to last somewhere in between fifteen, and twenty years before you need to begin replacing them. What that means is that the average property owner only buys replacement windows either once or twice per property that they own. What our window company is here to help you do is ensure that the decision you make in replacement windows is one that you won’t regret. Fifteen years is a very long time to own something, and that’s why your choice in new windows is considered an investment rather than just the common everyday purchase. A lot changes in that time including the windows available on the market. Today, a big thing that everyone cares about while purchasing replacement windows is whether or not they’re energy efficient. 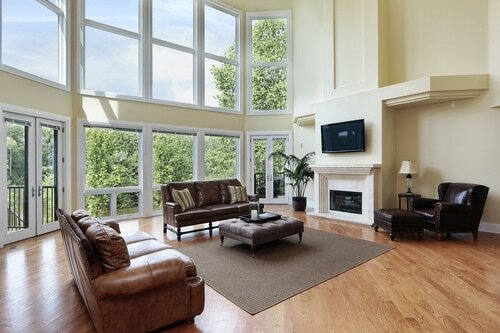 Fiberglass windows are the toughest, most expensive, and longest lasting windows out on the market today. They last the longest, because fiberglass replacement windows are least affected by the contracting, and expanding that windows go through with every season change. The fact that they’re so expensive though may not make them the best choice for everyone. In reality, it’s all dependent on how long you plan to have your home or the reason why you’re getting replacement windows. Wood windows, on the other hand, are a fantastic middle option for those who don’t want to spend much money on replacement windows and still want something that’ll last for a long time. What makes them unique from both fiberglass windows and vinyl windows is that wood windows have a unique look that can’t be accurately replicated by any other. If you want windows that’ll match the look of a vintage home with a beautiful wood stain, then there is no better option! Vinyl windows, on the other hand, are vastly growing in popularity because they’re the cheapest available. That doesn’t necessarily mean that the windows are of bad quality. They’re still an entirely viable option for those property owners that could use the savings. The difference between vinyl windows today is that they’re now available in a tremendous array of colors in comparison to the ones you likely saw the last time you bought replacement windows. Since they’re hollow unlike wood windows, they can be filled with foam insulation which makes them an even more appealing choice. Whichever look you’re going for, or budget that you have, our experts at Greeley Window Company can find the perfect new windows for you. Give us a call at 970-373-1665 to find out more information today!